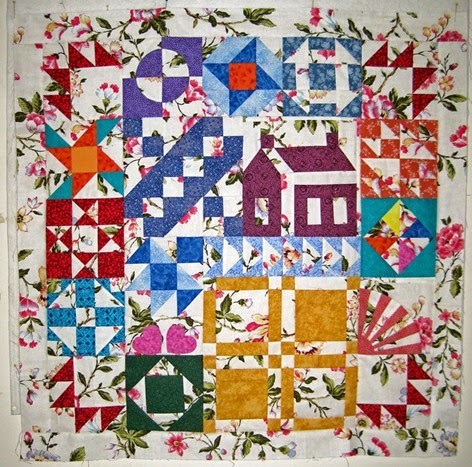 Measures 34" square. Now I have to figure out a border - think 2 more borders will do it. Can you figure out which block I cut down? You'll have to look at last Monday's post for clues. First one to comment with the right answer gets enough 3/4" hexagon papers to make 5 hexagon flowers. I'm linking to Amanda's Finish it Up Friday and Sarah's Can I get a Whoop, Whoop? See you there. On one last thing. To see my Hexie progress or summary (actually) go here. I love your use of the large print floral as the background! your quilt is really interesting looking - I really like it. I finished my Dear Jane and so glad to be done. 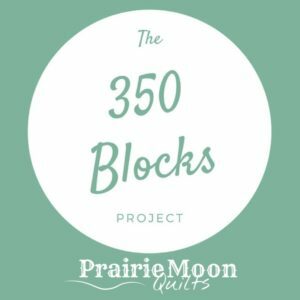 Your blocks all fit together perfectly! Wow, it took me a minute to see you cut down the heart block. I worked with hearts my entire working life!!! Your quilt is beautiful and congrats for a great start for the new year. Don't have a finish yet but working hard for it. Just by looking, no, I can't tell which one was cut down. It's looking good, though! 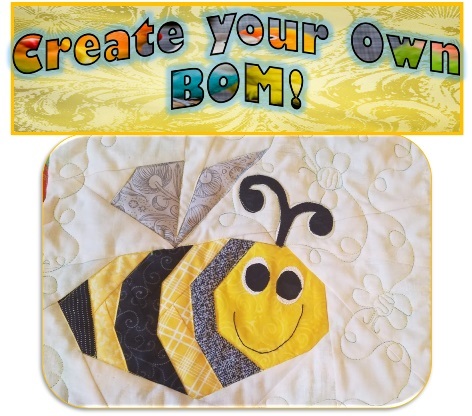 Your quilt is a beautiful combination of blocks...love the overall design. So pretty! And thank you for the linkup!